Make your cake and treats take center stage on the Silver Square Paper Plates. 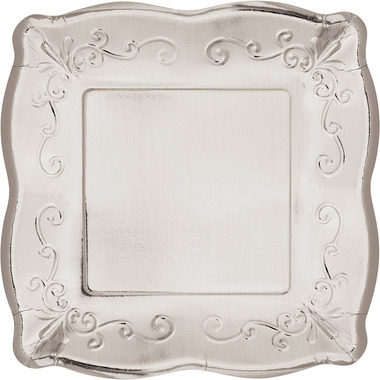 The Sturdy Style plates measure 7" square, perfect for any dessert. Available in packs of 8, these shiny silver, pottery scalloped embossed plates can be combined with any of the Elise party supplies.